Roland Piché was born in London in 1938 and emerged in the early sixties at a time of great changes as a radical student from Hornsey College of Art and the Royal College of Art. 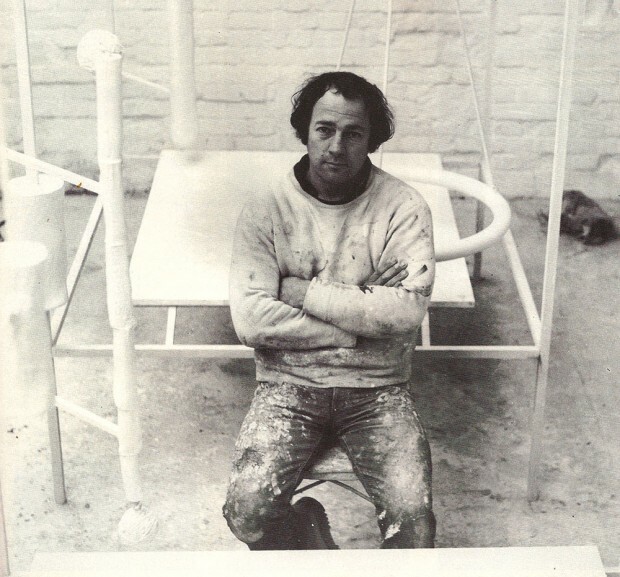 During his eight years of study he was recognised as an independent new voice supported by Henry Moore who he worked for part-time, by Francis Bacon and by Bryan Robertson who through the New Generation Exhibitions at the Whitechapel Gallery soon attracted the Marlborough Fine Art Galleries. Piché’s work did not belong to any school of thought or group and his work has always been complex and contradictory. The influence and admiration of American art together with the inheritance of the humanist European traditions, formal issues of ancient Egyptian art in the context of ideas from oriental attitudes and philosophy, made his evolution problematic and seemingly divided; the struggle and quest to resolve this is evident in most of his work. He made a substantial contribution to the teaching of sculpture at Honours Degree level as Principal Lecturer and Head of Sculpture at Maidstone and Canterbury Colleges of Art and was able throughout those forty years to research and test both the teaching methods and the nature of Art and Sculpture. He still intends to write books from the draft copies he has made which will address the First Principles of Sculpture and explore questions such as, by what criteria do we, or should we make critical judgements and seek the relevance and importance or otherwise of value.